First, the repentant thief recognized the brevity of this life. He understood life's temporal nature because he was dying. The Bible is clear on the topic of the brevity of this life (Ps 103:15-16; Jas 4:14). Thus, all of us should be concerned regarding what will happen to us when this life ends. Second, the penitent thief understood the reality of the afterlife. In other words, he understood that life after death was just as real as the present life. This understanding explains why the repentant thief spoke with such confidence about Christ's coming kingdom (verse 42). The Scripture teaches the reality of the afterlife. Because God has designed the soulish or immaterial part of man to live forever (Eccl 3:11), all people will exist forever, either with God in His kingdom or forever separated from Him in a place of conscious torment (Dan 12:2; Matt 25:46). Third, the repentant thief understood his guilt before God. This understanding is evidenced by his statement in verse 41, "And we indeed are suffering justly, for we are receiving what we deserve for our deeds." He obviously understood the reality of his own guilt since in the first-century Roman world, the reason someone was sentenced to hang on a cross was because he had committed a capital offense. However, it is not just those who have committed terrible crimes who are guilty. The Bible says in Romans 3:23, "For all have sinned and fall short of the glory of God." In other words, every member of the human race stands guilty before God because of our sin and our position in the first sinning man, Adam. Fourth, the thief on the cross understood the uniqueness of Jesus Christ. Verse 40 says, "But the other answered, and rebuking him said, 'Do you not even fear God?'" Here is an indication that he understood that Jesus Christ was God. Verse 41, in reference to Jesus, he said, "but this man has done nothing wrong." Thus, perhaps the penitent thief understood something about Christ's sinless perfection. He recognized that Christ was different than any man he had ever encountered. Of course, this too is a reality that people must understand in order to be saved. Jesus is not one among equals, but the unique God-Man (John 8:58-59; 20:30-31; Rev 19:16). Fifth, the thief understood that Christ had the power to save him. Not only did he understand his own guilt, but he also understood that Jesus, this extraordinary Man, could do something to help him with his specific predicament. 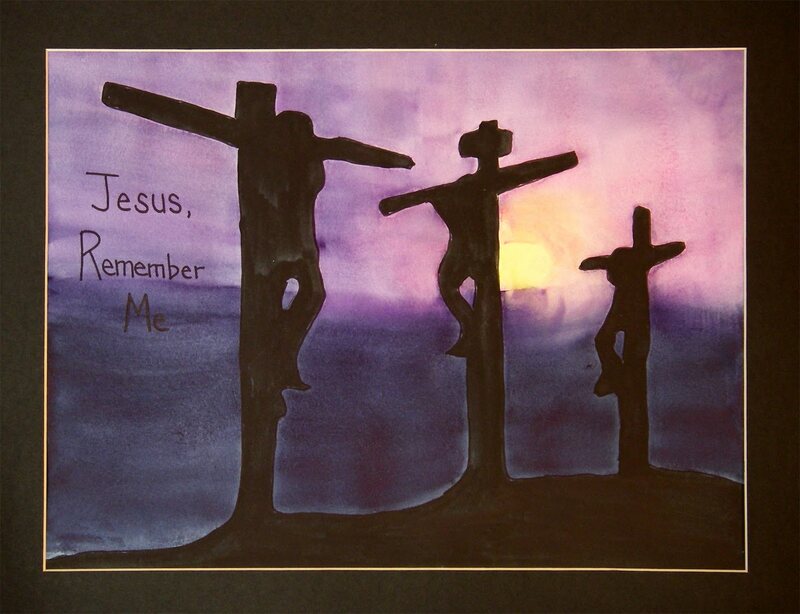 Thus, in verse 42, he said, "Jesus, remember me when You come into Your kingdom!" Jesus not only claimed to be God, but He also claimed to have the ability to help men with their primary problem: their guilt and sin before a Holy God. The solution to this dilemma is found in Christ alone (John 14:6; Acts 4:12; 1 Tim 2:5). Sixth, the repentant thief understood that he could not be saved through his own good works or any act of self-righteousness. Self-righteousness means that human beings can do something to merit favor from God. Since this thief was nailed to a cross, what acts of self-righteousness could he do? He could not join a church, do good deeds, or even be baptized. He was in a helpless position. We also are in a similar helpless position since we are incapable of doing any sort of righteous act to merit God's favor. God sees our acts of self-righteousness as a filthy garment, if we are using them to gain favor from Him (Isa 64:6). Seventh, this thief understood that it is never too late to ask God for salvation. Although he knew that his death was imminent, he still believed it was not too late to cry out to Christ for mercy. Although guilty of a capital crime and dying, he did not believe that it was too late for him to experience divine grace. The thief's persuasion proved correct as Christ gave him immediate validation of salvation, "Truly I say to you, today you shall be with Me in Paradise" (vs. 43). No matter what you have done, or how long you have lived, or how close you are to death, it is never too late to ask God for salvation (2 Cor 6:2b). However, once you die and you pass into the eternal realm, then it is too late (Luke 16:19-31; Heb 9:27). Do you know these spiritual realities? Do you understand the brevity of this life, the reality of the afterlife, your personal guilt before God, Christ's uniqueness and power to save you, the impotency of self-righteousness, and that it is not too late to trust Christ for salvation? If so, do what the penitent thief did and trust in Christ alone for your salvation.